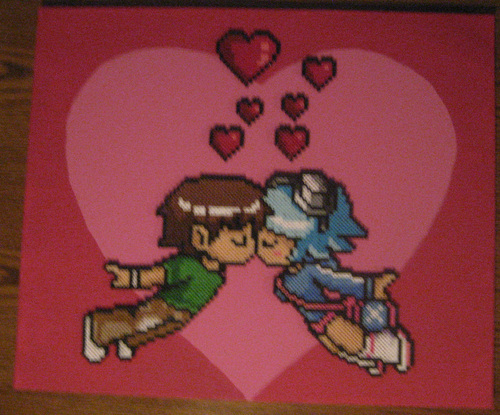 Scott Pilgrim Original Bead Art by Pixelated Production. Scott Pilgrim Original bead art by Pixelated Production. HD Wallpaper and background images in the Scott Pilgrim club tagged: scott pilgrim scott pilgrim vs. the world movie comic book video game bead art bead sprites. This Scott Pilgrim fan art might contain anime, comic book, manga, and cartoon.